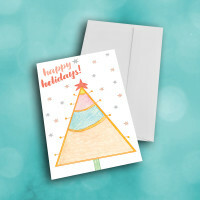 A sweet and simple holiday card, to share your wishes during the festive season. 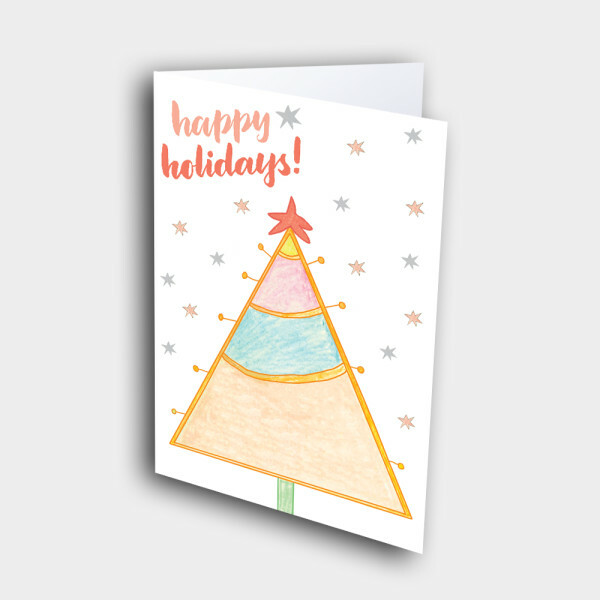 The art in this holiday card's design is based on children's artwork, giving the card an endearing charm. 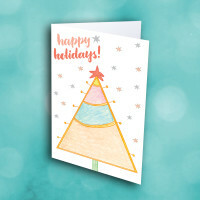 The front features a pretty, pastel Christmas tree, surrounded by soft stars. 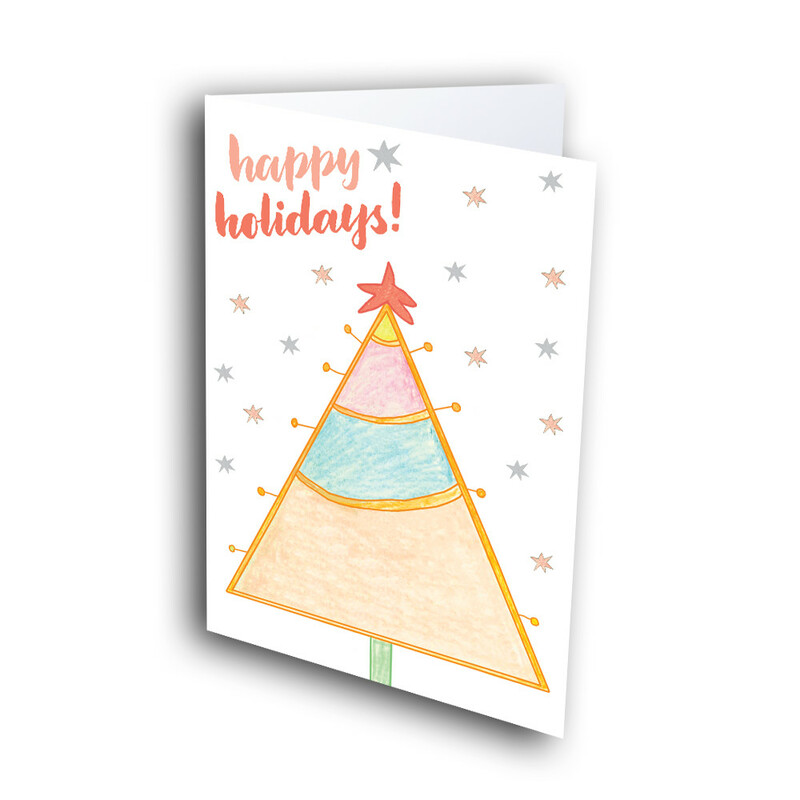 Inside, the bright-red background is patterned with more stars, and displays the classic message. 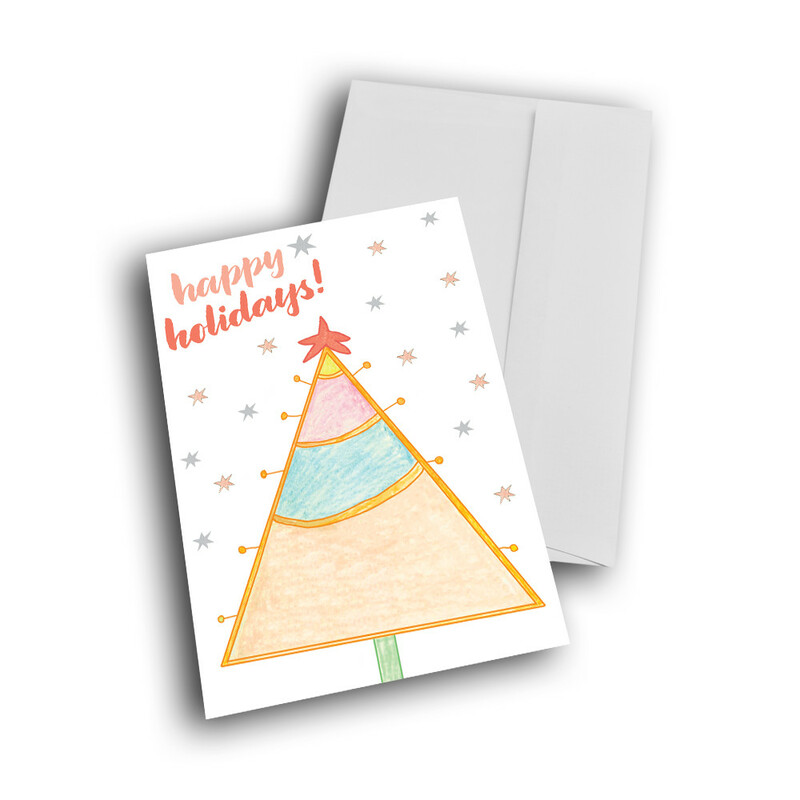 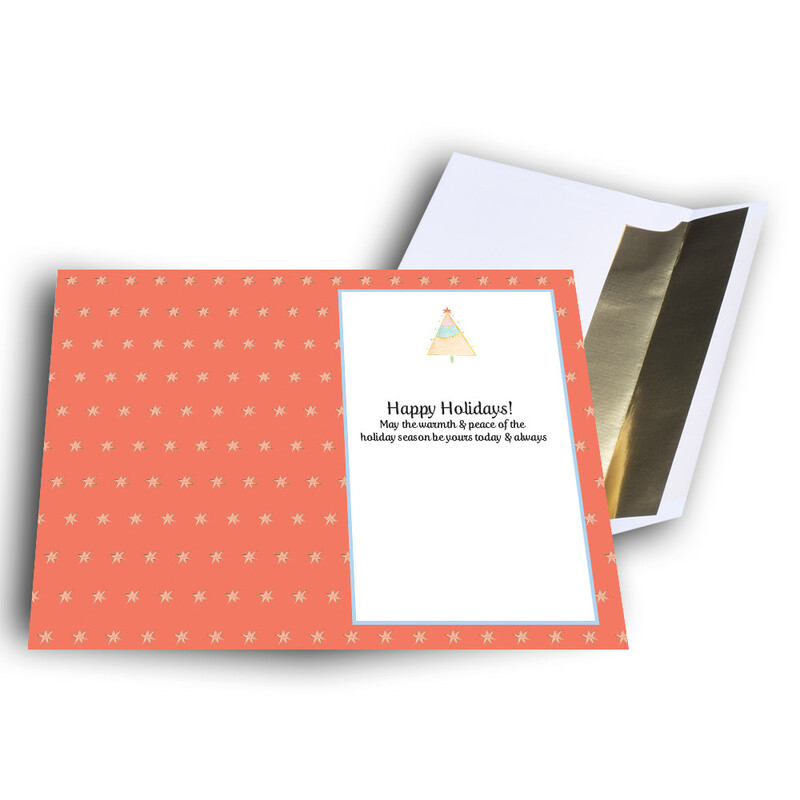 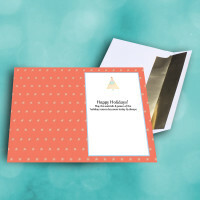 Personalize this message to give the card your own custom touch.